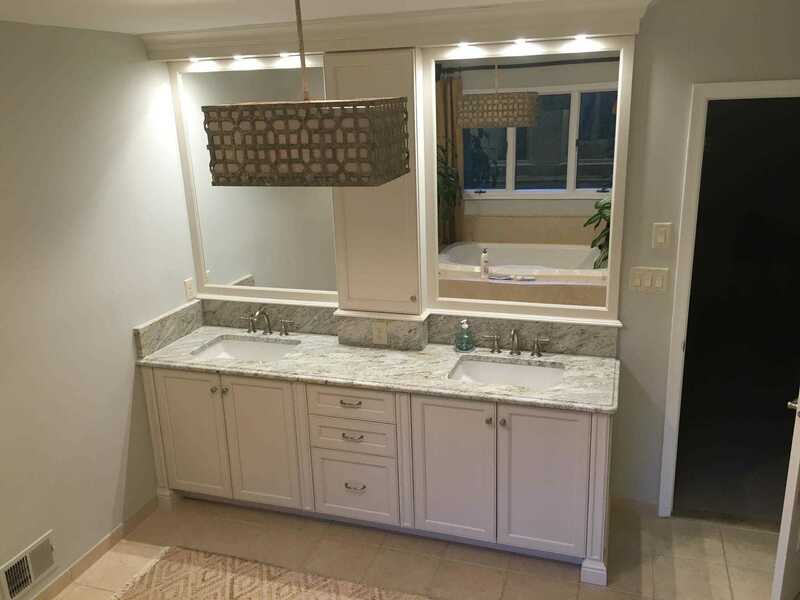 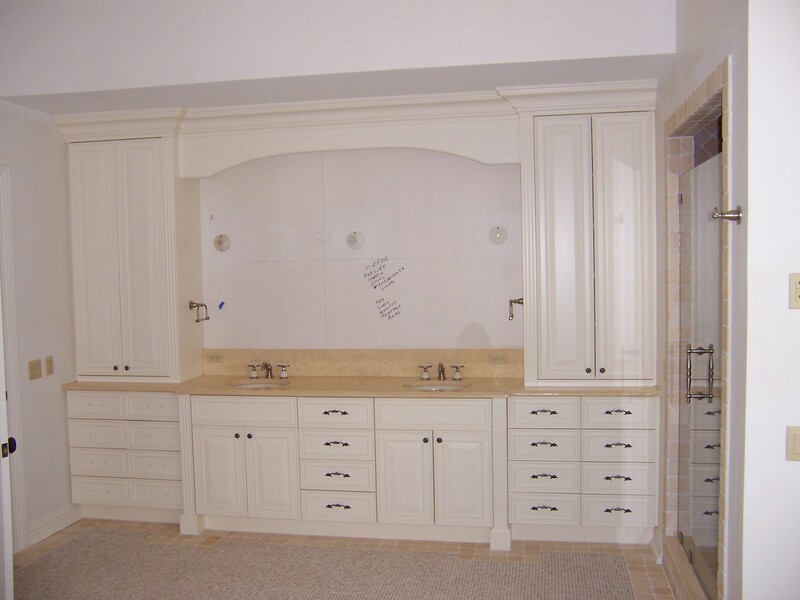 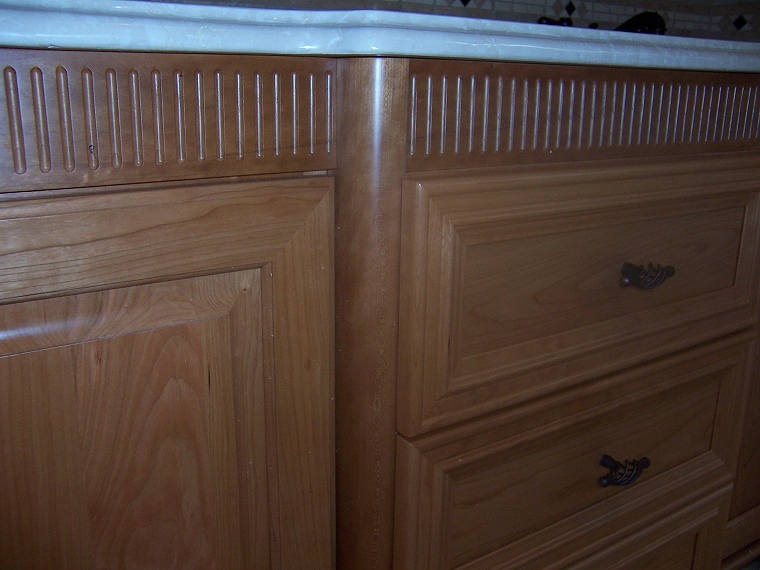 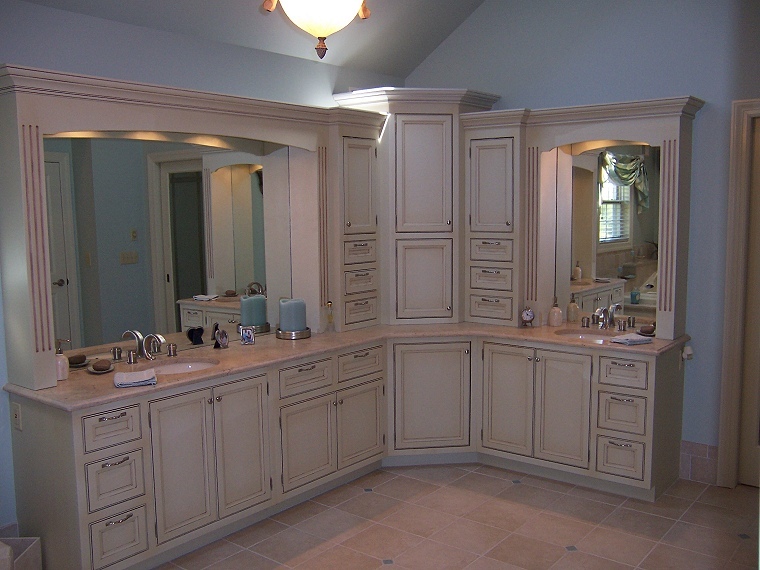 Master Bathroom Custom vanity in Crystal White, five-piece doors and drawers. 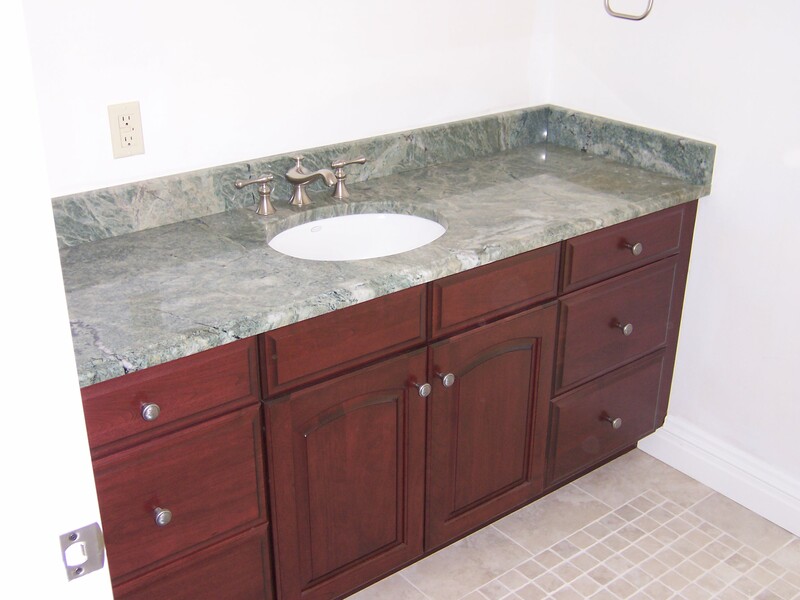 Counter top; in Sage Cream granite. 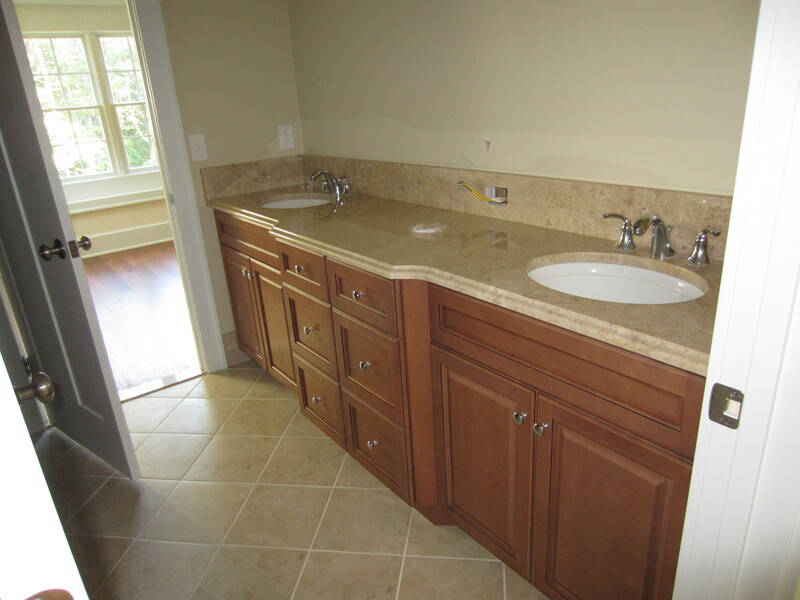 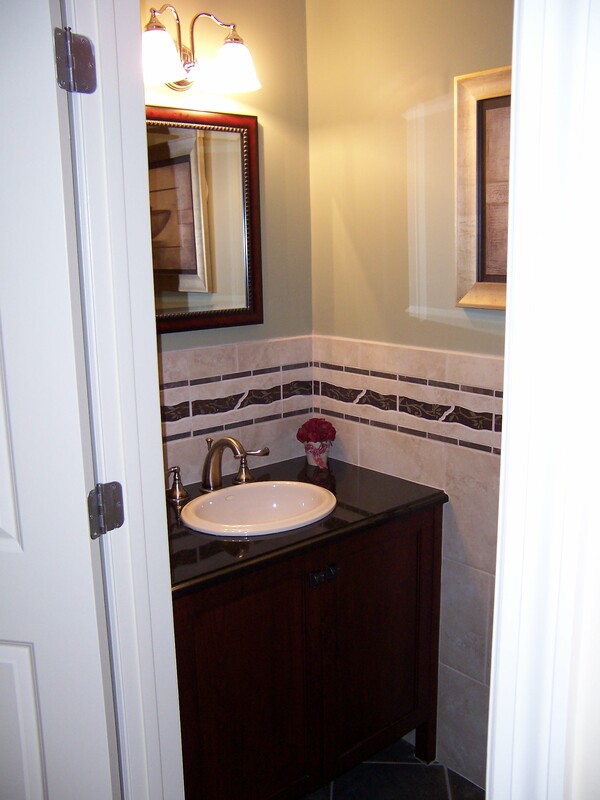 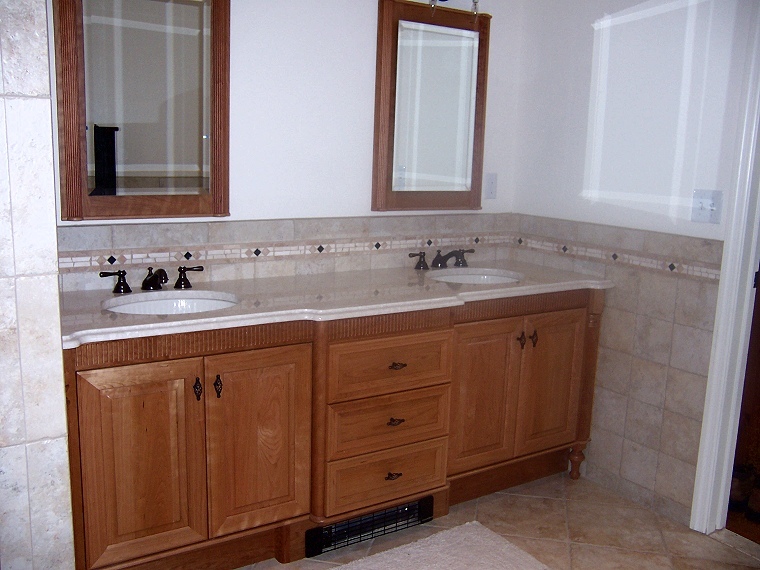 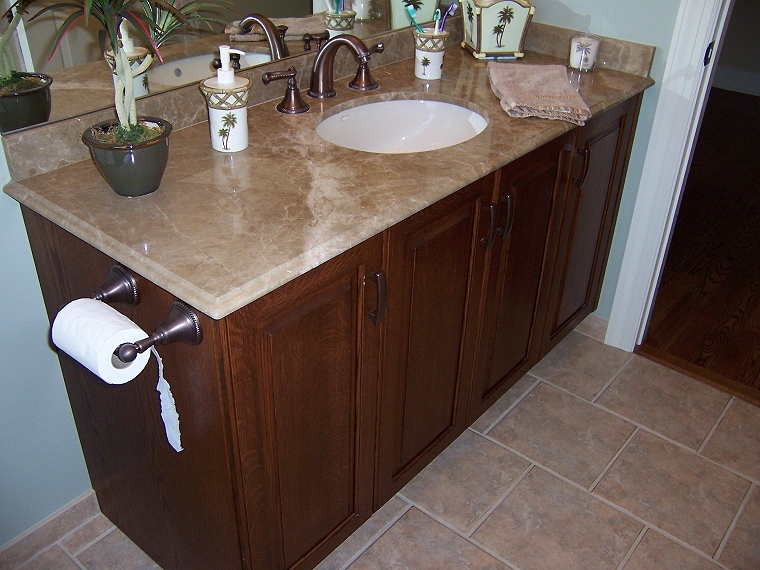 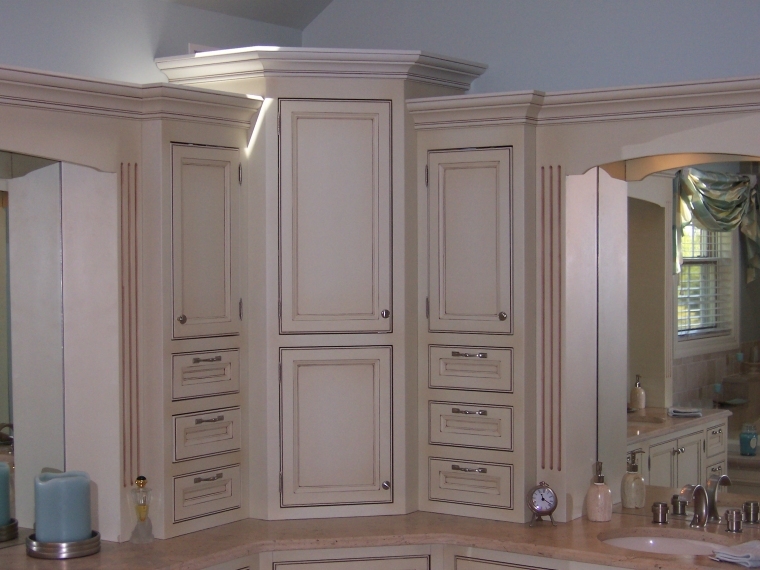 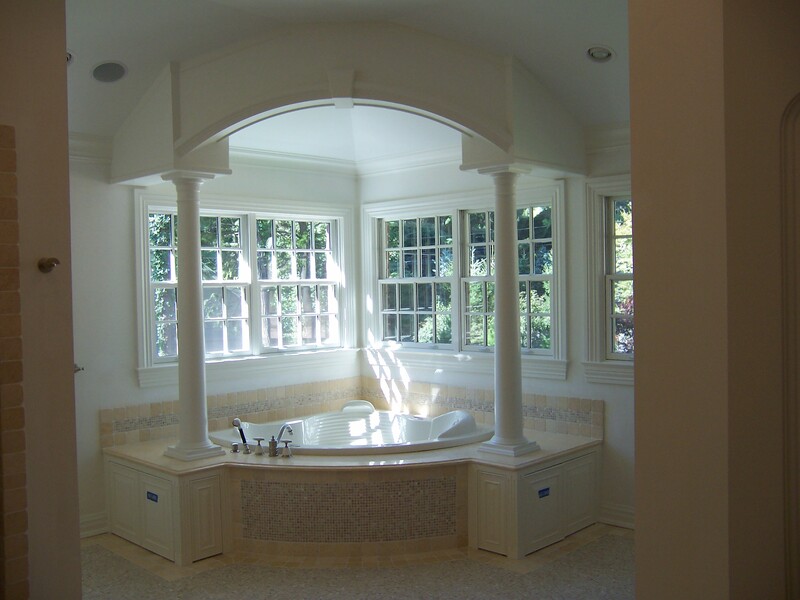 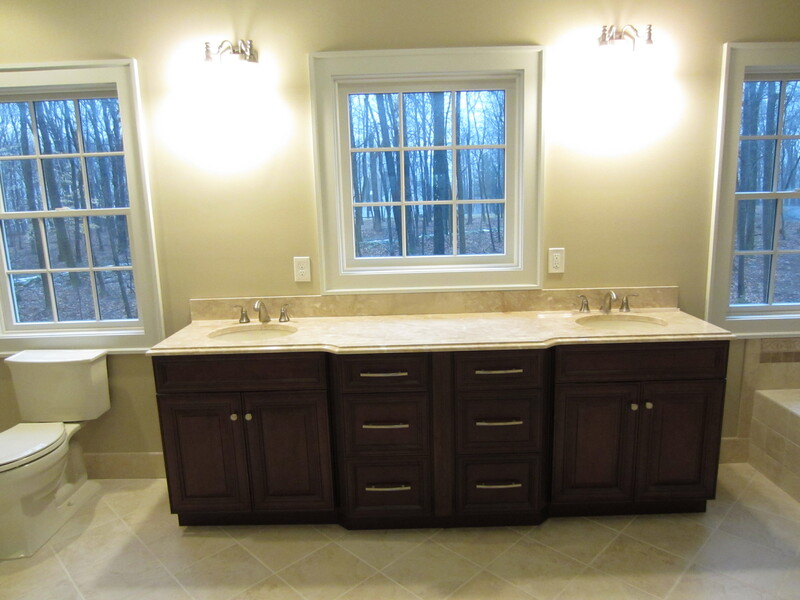 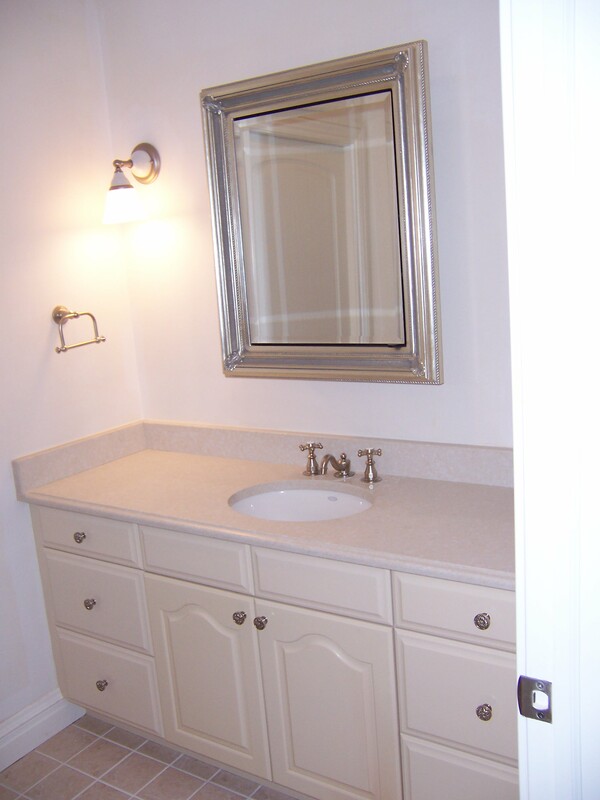 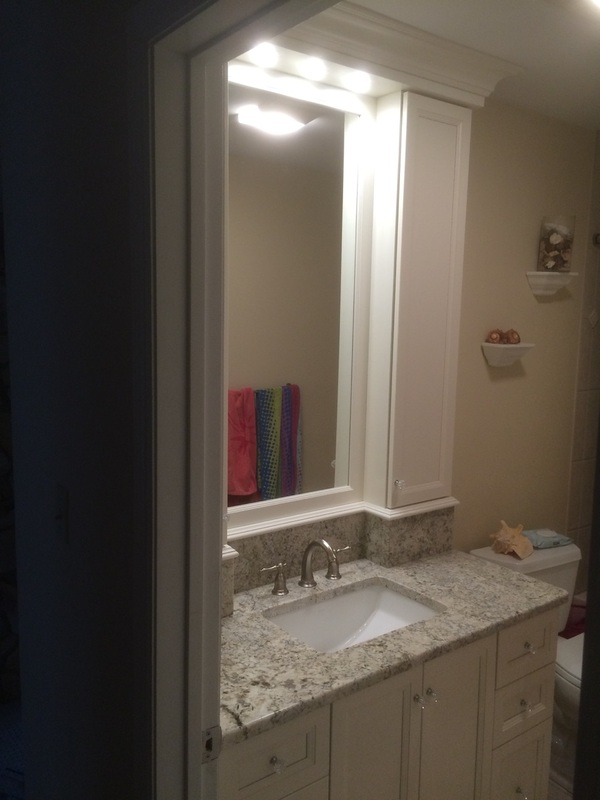 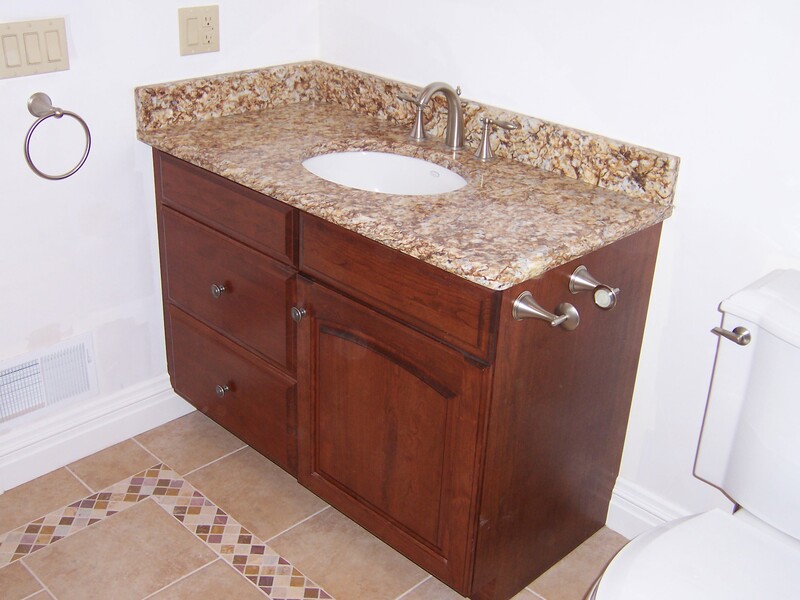 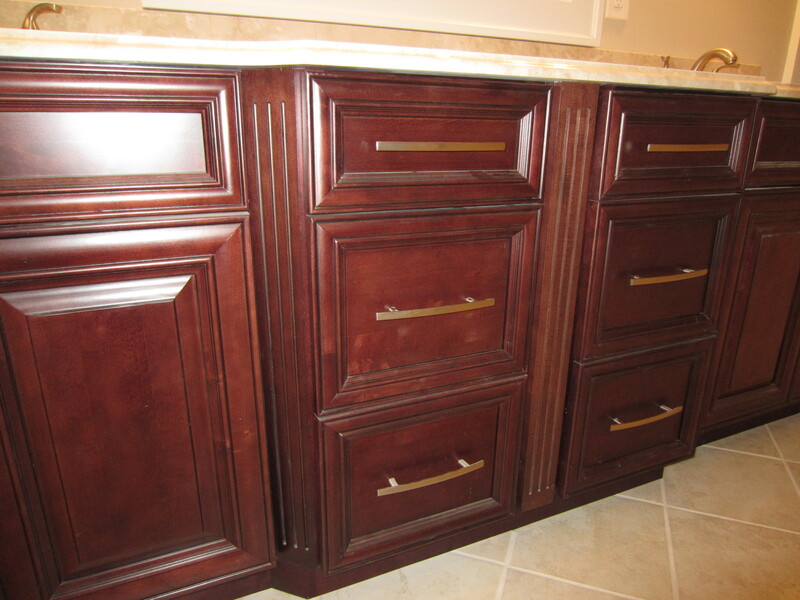 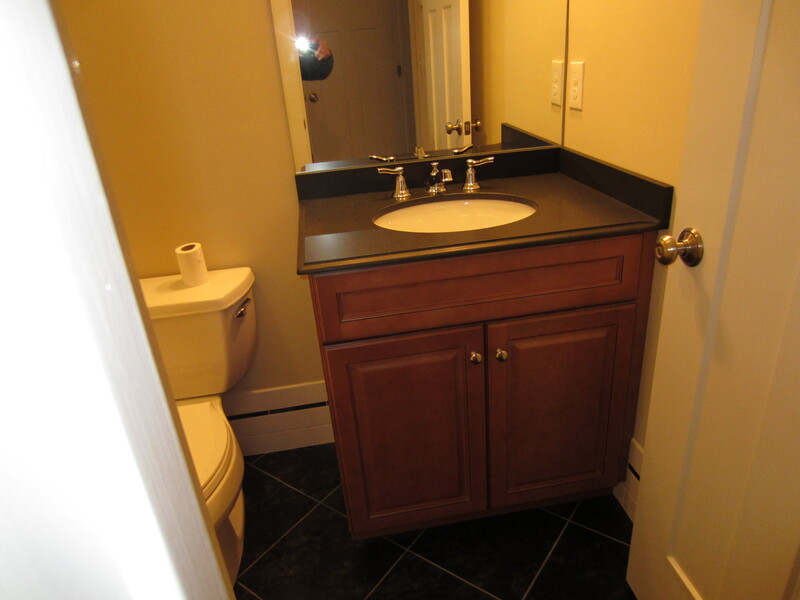 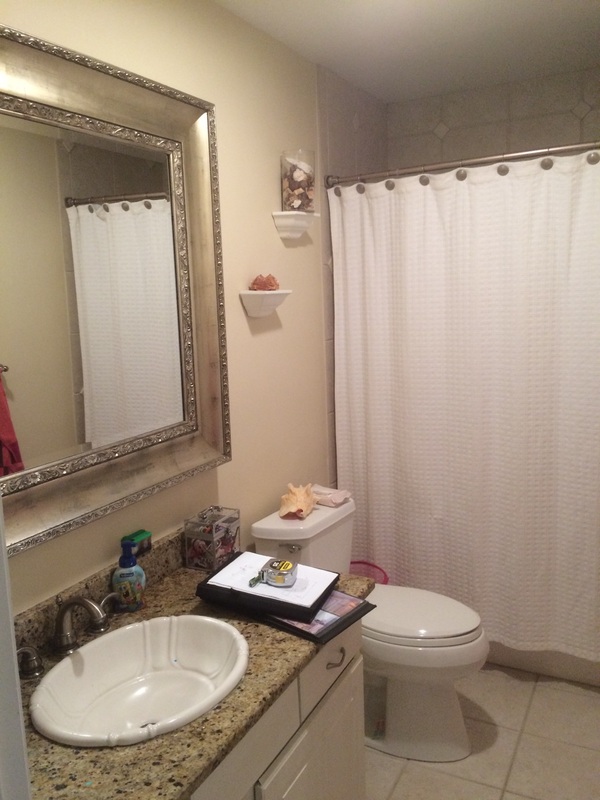 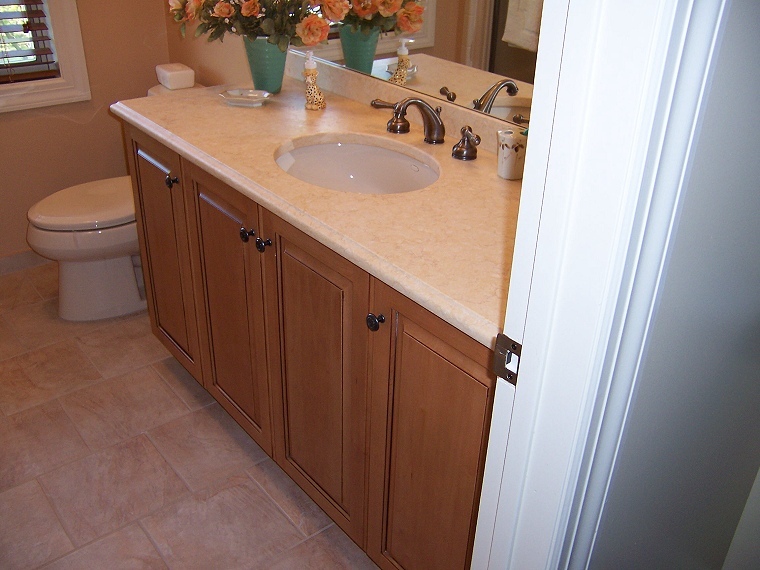 Marlboro, NJ - Bathroom - After Custom vanity in Crystal White, five-piece doors and drawers. 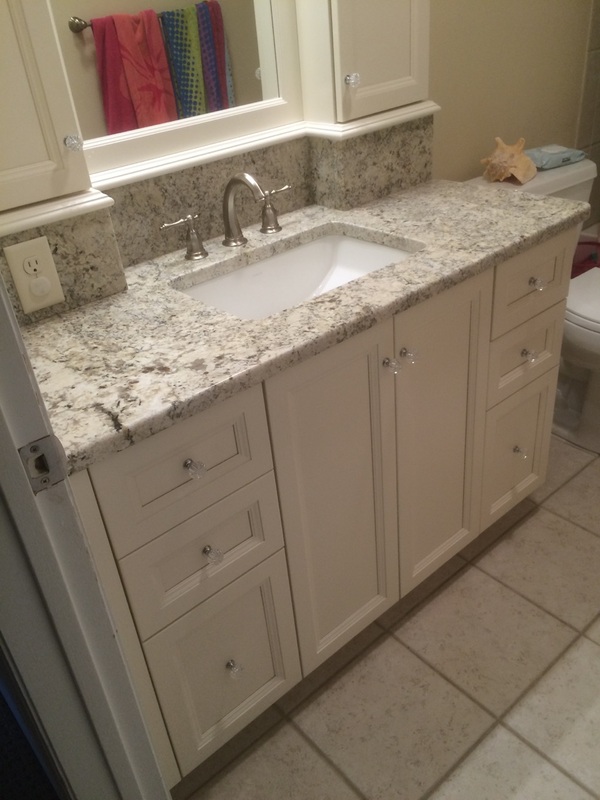 Counter top; in Sage Cream granite.